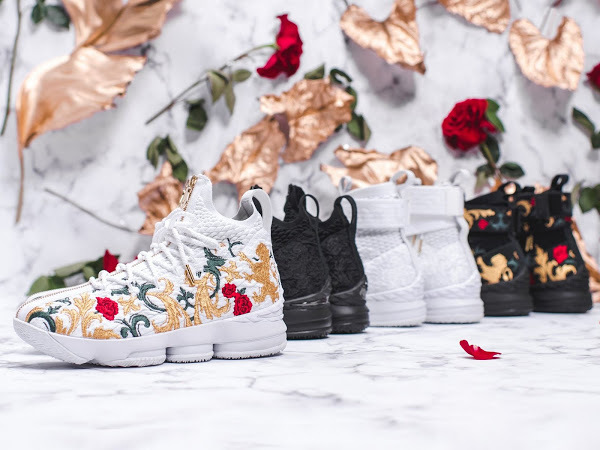 In a recent interview regarding his latest signature shoe LeBron James put all questions to rest by announcing “We’re back!”. Apparently that was his first impression upon seeing the final version of the Nike LeBron 15. 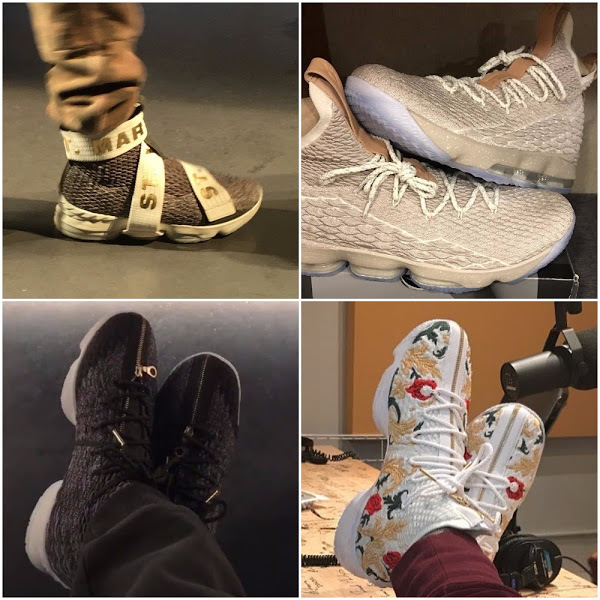 The King and his Nike Team have strong belief that the LEBRON XV has what it takes to make a difference once again. Obviously the biggest challenge for performance basketball shoes is gaining the casual appeal because the on-court capabilities were always on point. 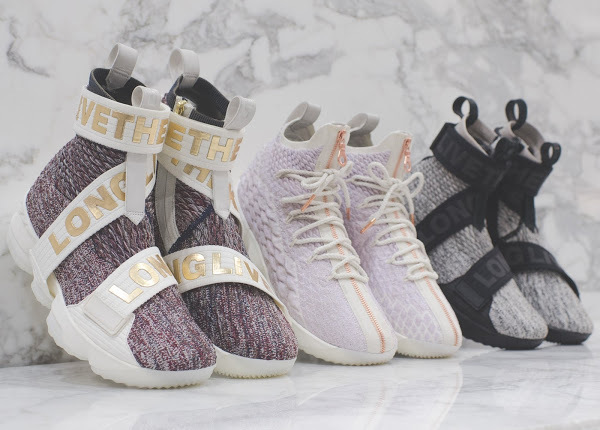 Hopefully a collaboration with Kith will make that possible. 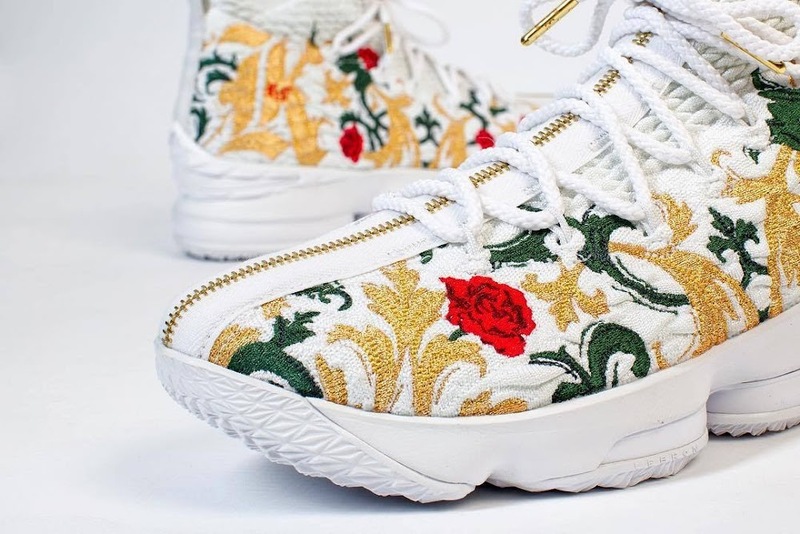 We’ve already previewed a couple of lifestyle looks for the LeBron 15 that were unveiled during the New York Fashion Week. 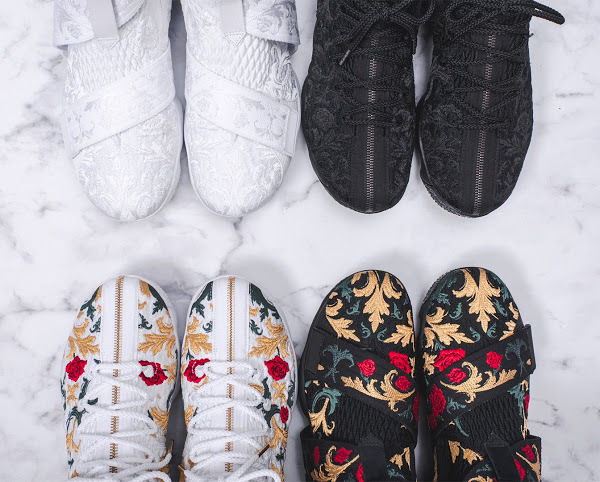 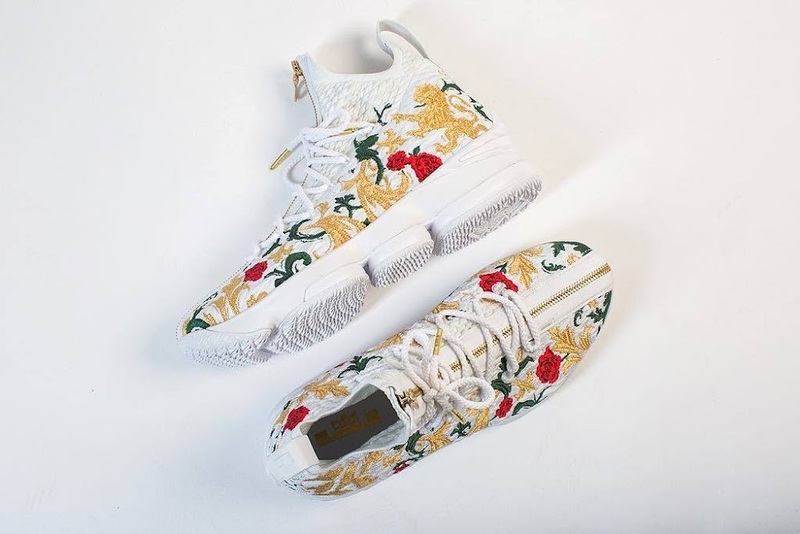 Here’s a closer look at the Floral make up that was unveiled by Maverick Carter, LeBron’s business associate, as well as King James himself. 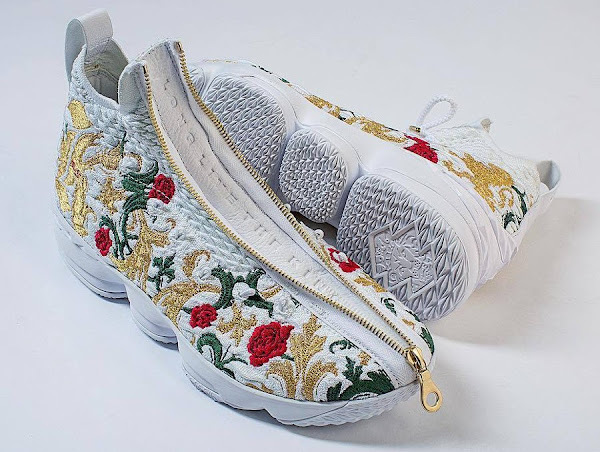 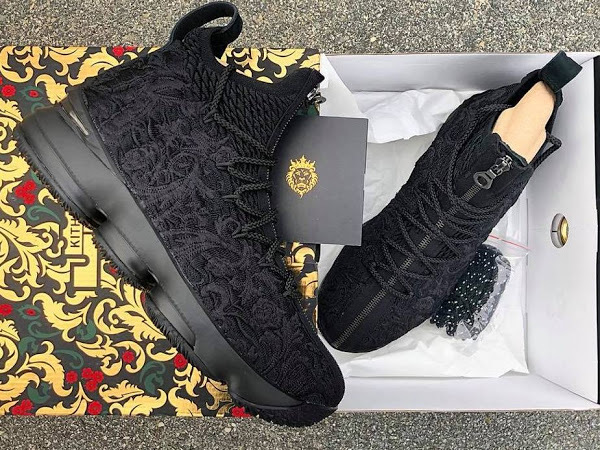 This unique LeBron 15 style features all the performance components mixed with new lifestyle elements including the painted air bags and the tongue zipper, which hides “Long Live The King” markings underneath. There’s no word on a possible release of the “Floral” LeBron 15, but since Nike worked so hard to put us on notice I’d expect a limited launch somewhere down the road.